Since beginning of January I’ll try to improve my physic condition. However, it’s tough. My schedule includes an early Monday morning lesson with Aidan, my personal trainer. Then I attend a boot camp in my neigborhood, if possible two or three times a week. That means at least 3 or 4 trainings per week. The problem is, as far as I figured out, based on the fact that I was born 53 years ago. It’s just incredible tough to get into shape ! Especially the boot camp, if you compete with 24 year old mates, my lord thats difficult. But my condition becomes better with every week. Also Lifgun is getting in better an better shape. After my last visit, a week ago, we fixed a couple of things and I think she is close to the point where she’s ready to race. In particular the EmpirBus is now working again, that means i have light again in the whole boat)). We installed the traveller in a proper way, cleaned up the whole sail wardrobe, exchanged the gas spring in the kicker (look at the rusty old one! ), installed the latest Lighthouse 3 software on the Raymarine equipment and discussed with YachtWorks how to install the new Thales Iridium certus dome. I promise you, next time we start to train fast sailing with her ! See you soon guys. 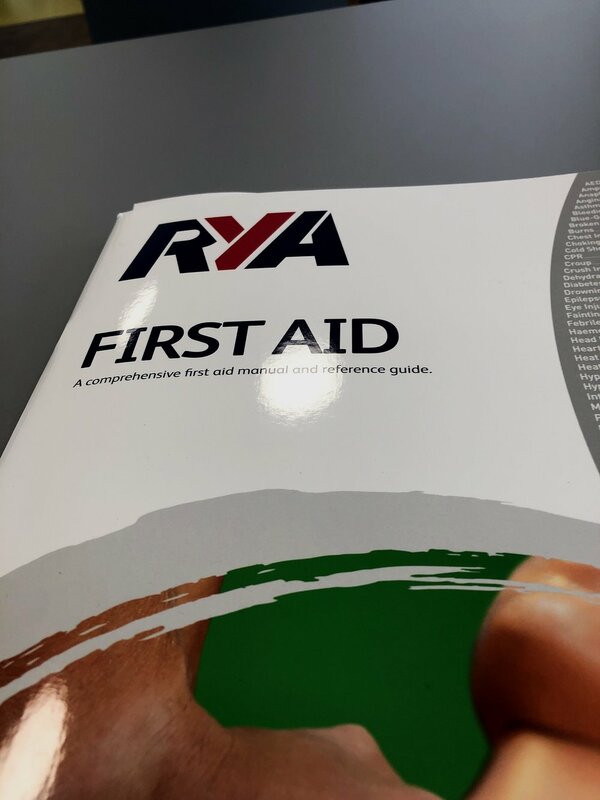 Ahhh and by the way - in the meantime also the first aid cours of RYA is passed. One more thing done !